Diplachne fascicularis (Poaceae) has been reported for the first time for Bulgaria by V. Vladimirov and M. Delcheva (2016). This plant species is native to North and South America. In Europe, it has been reported as alien in Italy, Spain and Portugal. 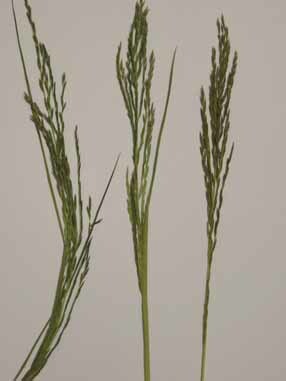 Recently, D. fascicularis was introduced to Turkey, where it adapted to rice fields and became an important weed in many regions of the country. The species was also recorded as casual in Belgium, as a wool alien, and as occurring in the Czech Republic. 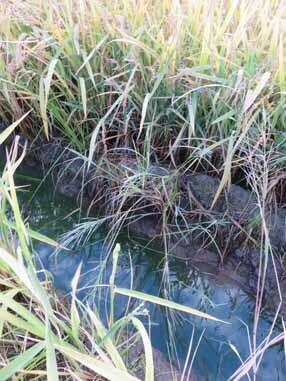 An increase in the presence of D. fascicularis in rice fields over the past few years was reported for the region of Valencia, Spain. In Southern Europe, the species is considered as an important weed in cereal crops, in particular in rice fields, with a maximum spreading potential and a maximum score for weediness, moderately easy to control. Seed trade is pointed as the main pathway for the introduction and spread of this species in Spain and Italy. In Bulgaria, D. fascicularis was recorded for the first time on 12.10.2016 in rice fields between Tsalapitsa Village and Saedinenie Town, within the Thracian Lowland floristic region. The species is already abundant at the margins of the rice fields, producing a large amount of seeds.